Lydia Dean recently signed a letter of intent to cheer at Mineral Area College next fall. Pictured with Lydia is her mother, Tonya. Also present for the picture were FHS cheer coaches Ashley VanBibber, Jessica Doyel, and athletic director Eric Allen. Two Festus senior cheerleaders were recently honored at the annual cheerleading banquet. Alicia Sutton and Erin Martin were named Ms. 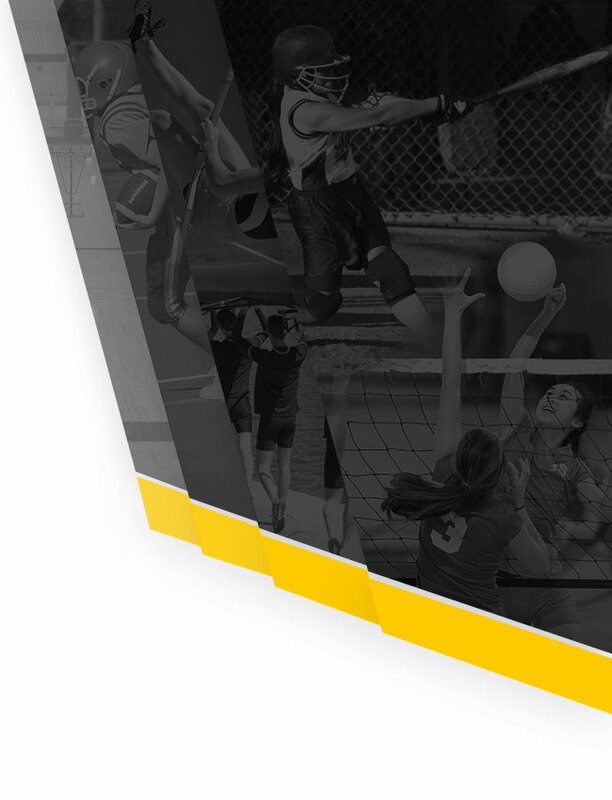 Cheer for the 2017-18 season. Congratulations! 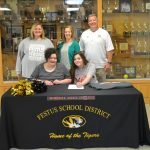 Amiaya Cheek, a senior at Festus High School, signed her letter of intent with Missouri Baptist University. 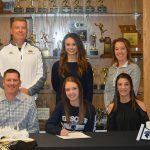 While attending Missouri Baptist, she will also be a member of the Spartans cheerleading squad. 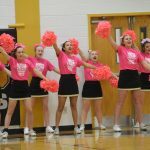 The Festus High School cheerleading squad was a big participant in Friday’s night’s “Pink Out” game vs. DeSoto. 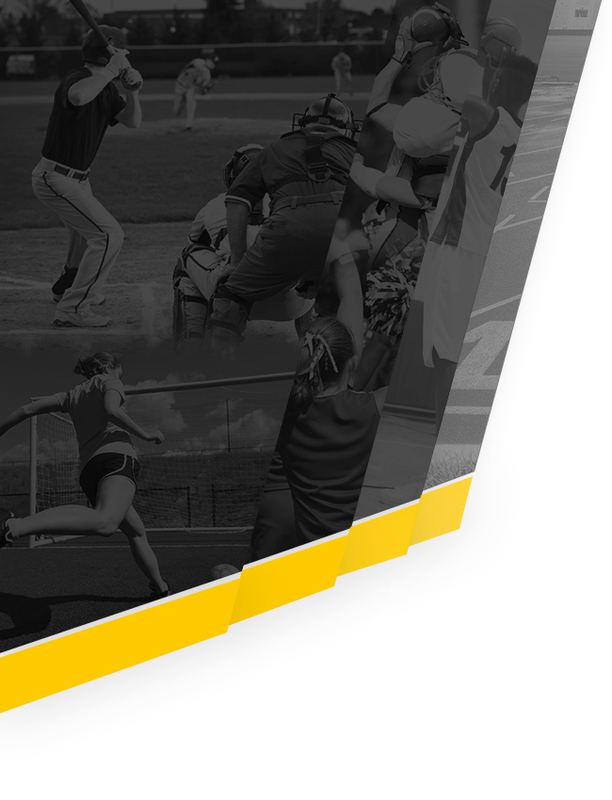 Just a reminder…cheer clinic registration is due today in order to be guaranteed a t-shirt. 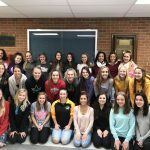 The FHS cheerleaders want to remind everyone that they will be collecting new, unwrapped toys at tonight’s girls home game. Here are some photos of the cheerleaders at Friday’s Steighorst Invitational game. The Festus cheerleading squad has already cheered for two girls basketball games. They also helped with the “Little Cheer & Dance” performance at halftime of last night’s game. The rescheduled “little” cheer/dance performance is Monday, November 20th. The performance will take place during halftime of the girls varsity basketball game. For those participating, please arrive no later than 6:30 PM. This is the make-up performance from the canceled game during the football season.